Batten disease is also known by the collective name Neuronal Ceroid Lipofuscinosis (NCL) and is known as Batten Disease-Spielmeyer-Vogt (BSV). The name NCL refers to lipo pigments, oily waste materials that accumulate in the brain cells so that they gradually die. Batten disease is an inherited disorder in which both parents of a patient are carriers of the disease but are not themselves ill. Both parents pass on one chromosome with the disease. Children of these parents have a 25% chance to get the disease. The disease occurs almost exclusively in children, both in boys and in girls. Worldwide, one in every 25,000 children's has the disease. Between the fourth and eighth year children get the first symptoms. The disease is caused by a defective gene. Due to the lack of this gene, the enzyme that makes sure waste products are broken down in cells is not created. The waste materials, yellow brown oily pigments, accumulate in the cell and by this the cell dies. This occurs especially in the brain cells, but it also affects the spinal cord. The form of the desease that affects children is the most common form. This form is called Juvenile Neuronal Ceroid Lipofuscinosis (JNCL). It is caused by a single defective gene, namely CLN3. Due to the fact that brain cells die specific complaints occur. The disease begins around the age of five with a visual impairment leading to blindness. Cognition. Gradually, more and more problems with thinking, trouble paying attention, difficulty with arithmetic and the like. The intellectual faculties deteriorate slowly. The children get epilepsy. This may take various forms. Motor problems, which have to do with movement such as standing, walking, sitting down, etc. The problems increase in severity. Problems with eating. The patients easily swallow the wrong way. The ability to communicate decreases from the beginning of the disease. This is for the children who suffer from the disease even more difficult. Children may feel misunderstood and by this feel very lonely. Around the age of ten the children can get hallucinations. Incontinence of urine and feces. At the end of the disease process, the children have problems with urinary retention. Later, they also have trouble keeping the defecation. Ophthalmologist. The ophthalmologist will perform two studies that are very aberrant in the case of a person with the Batten Disease: a ElectroRetinoGram (ERG), and a Visual Evoked Potential (VEP). Blood tests. An increased activity of the enzyme CLN3 in the white blood cells. Skin biopsy. Lack of the enzyme can be determined in a skin biopsy. MRI-scan. An MRI scan demonstrates that the brains are too small. Because of the epileptic seizures an EEG is made. There is currently no treatment to stop, slow down or cure the disease. Therefore scientific research is very necessary. The existing life expectancy is low: 15-25 years. 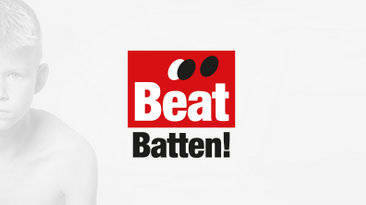 Stichting Beat Batten! is a Dutch foundation that is dedicated to these children by generating awareness for Batten and raise funds to promote investigations into treatment and medication. The foundation started an investigation in the US that probably will be continued in the Netherlands. They hope that, within a short time, it will lead to a means that can improve the quality of life of these children. A news release from NIH about gene therapy for Batten.